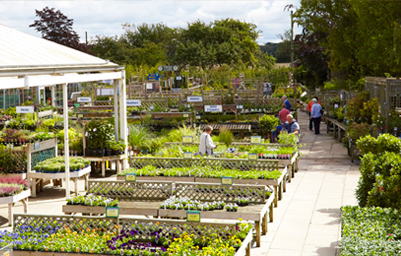 We stock a wide selection of high quality plants in our Outdoor Sales Area. 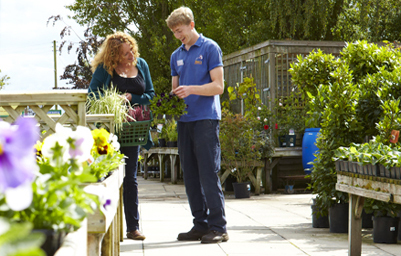 Our knowledgeable Plant Advisors are always happy to help if you would like any advice. We carry a large and changing range of Alpine plants from Spring to Autumn available in a selection of sizes. 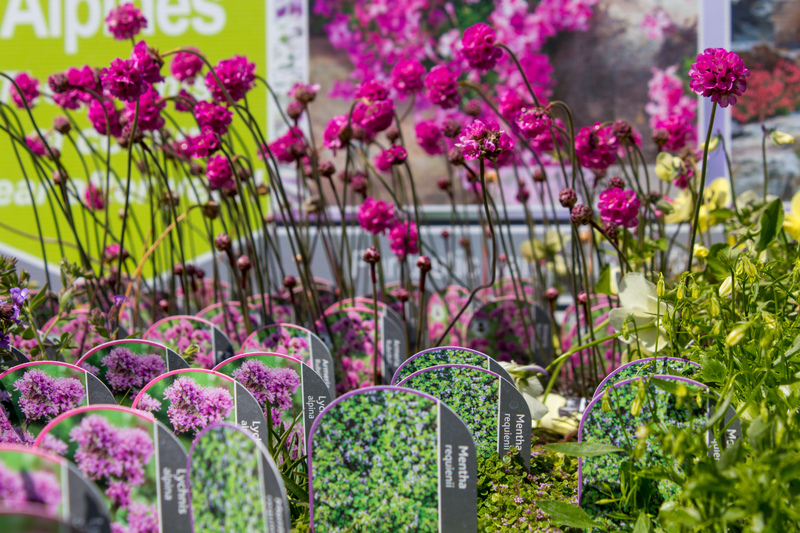 Alpines are hardy, low-maintenance plants which are ideal for making a rockery and are able to flourish in areas with shallow soil. They can even be planted in cracks or crevices in walls, or alternatively may be planted in containers. 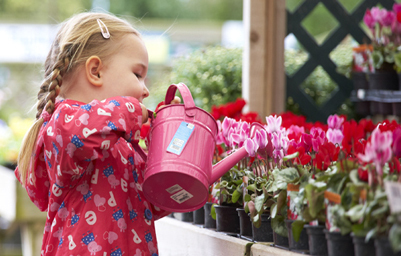 Seasonally, we sell a very large range of summer bedding plants, many of which are home-grown at our Nursery. 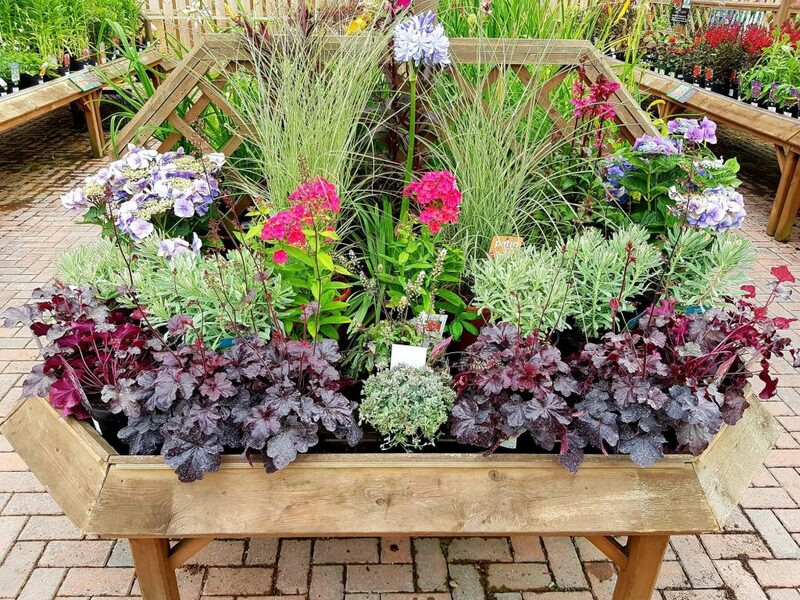 Bedding plants are a cost effective way to add instant colour and vibrance to your garden over the Spring and Summer months. 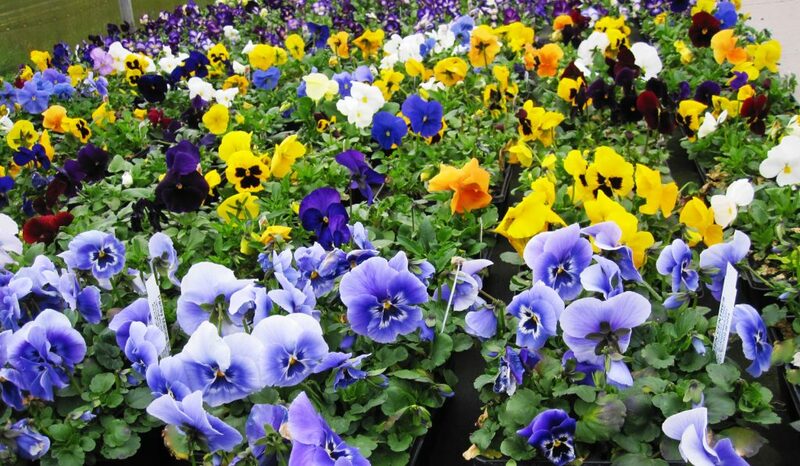 In addition, we stock winter-flowering bedding such as Violas, Wallflowers, Myosotis and Sweet William plants. We also sell a very large range of pot bedding for all hanging baskets and planted containers. We have a wonderful collection of evergreen and deciduous climbers available all year round, from Clematis to Wisteria and many more. 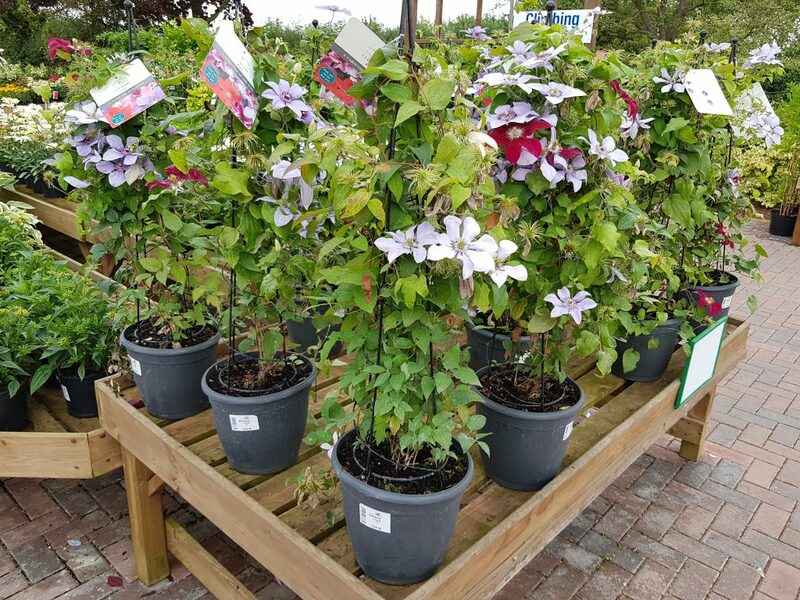 We sell a large range of Clematis which are available in a good range of colours, flowering from Spring to Autumn. Examples of other climbers we stock are Hydrangea, Jasminum, Honeysuckle, Passiflora, Parthenocissus and Wisteria. 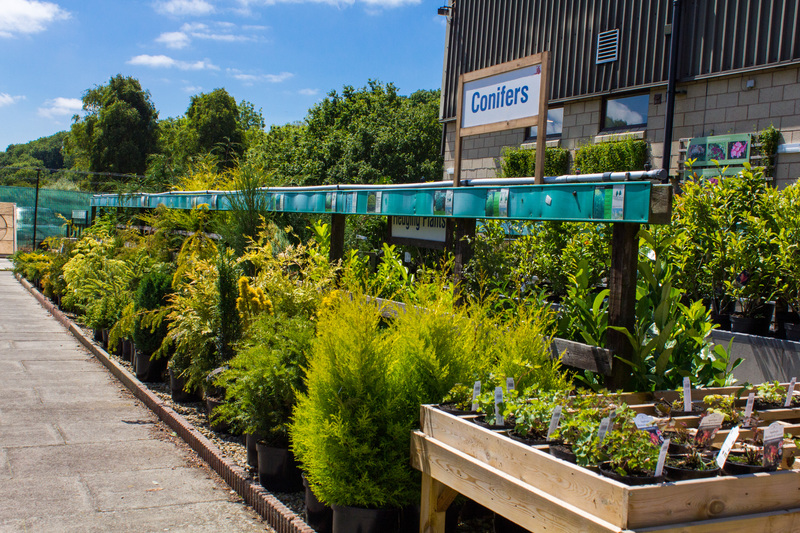 We have a great range of conifers including varieties suitable for rockeries, containers, planted boarders & hedging, which can be used for all year round colour. We stock a vast range of sizes, from dwarf conifers, right up to very large conifers. Examples of confiers we sell are Leylandii, Taxus and Baccata. We offer a very good selection of ferns. Ferns grow best in moist soil, in a shaded area. It is also possible to grow some ferns in containers. If you’re keen to “grow your own”, you’ll be pleased to know that we stock various varieties of fruit and vegetable plants seasonally, many of which are home-grown at our Nursery. Examples of the vegetable plants we tend to stock in season are tomatoes, cucumbers, peppers, squash, cauliflower, courgettes, lettuce, peas, and more! The soft fruit plants we stock include strawberries, raspberries, blackcurrants, gooseberries, blueberries, and rhubarb. 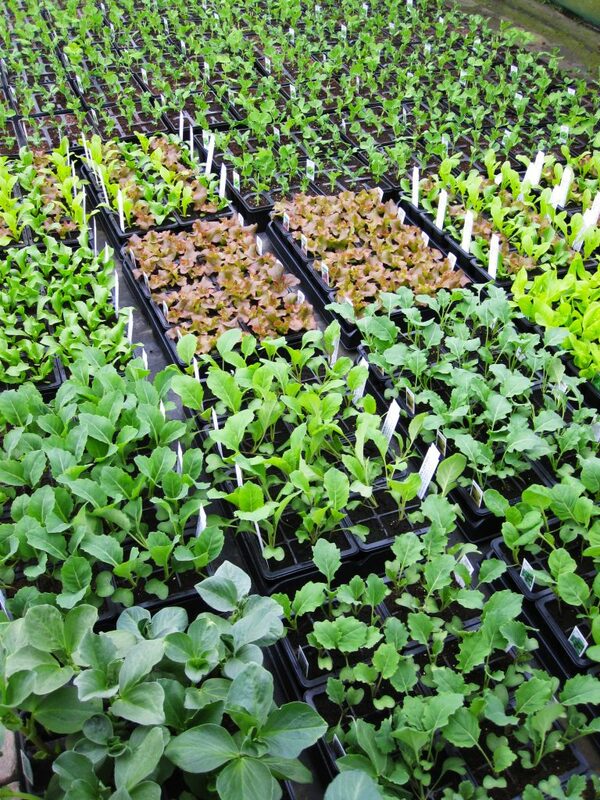 Pictured below – various vegetable plants grown at our Nursery. We stock a wide range of grasses, which provide year-round interest and are hugely versatile in size, form, colour and texture. Grasses appear to capture light, whilst bringing structure and movement to the garden. We have a wide range of perennial plant varieties such as Iris, Delphinium, Peonies, Hosta & hardy Geraniums. 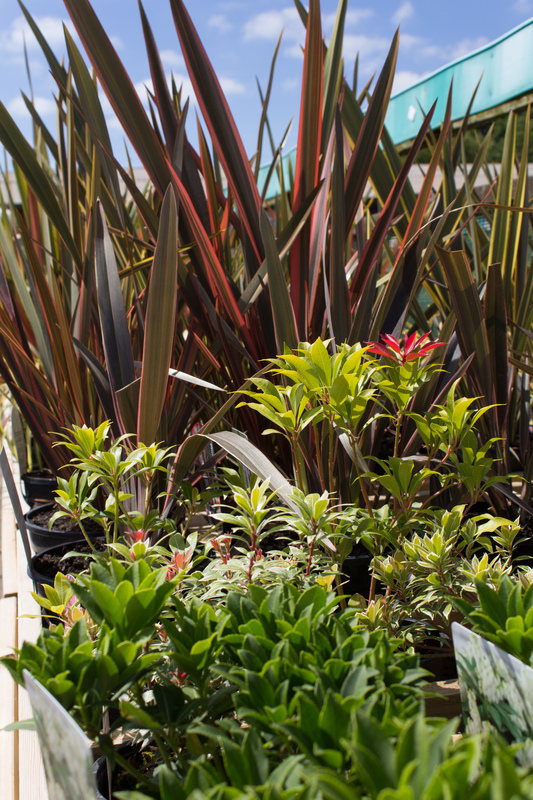 The majority of the perennials we sell are home-grown at our nursery. Perennials are ideal for adding summer colour or brightening up a border. They are also known for attracting wildlife to gardens. From early Spring to Autumn we stock a great range of herbs which are easy to grow. Herbs are usually grown in containers and are generally used for culinary purposes. 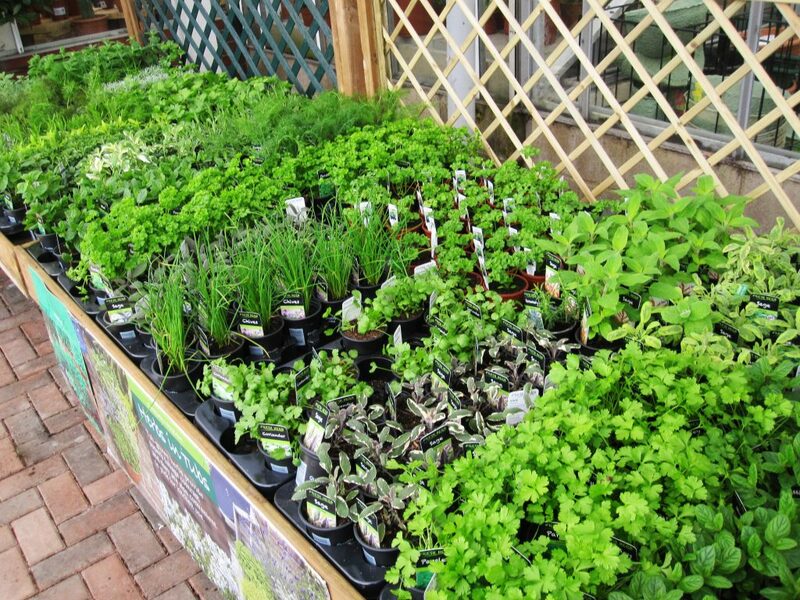 Examples of herbs that we may stock include mint, thyme, chives, parsley, lavender, chives and many more. In the Spring and Autumn months, we offer a vast selection of Azaleas and Rhododenrons. These plants grow best in a shady position, in lime-free soil. Dwarf Rhododenrons and Azaleas can be grown in containers, in ericaceous compost. 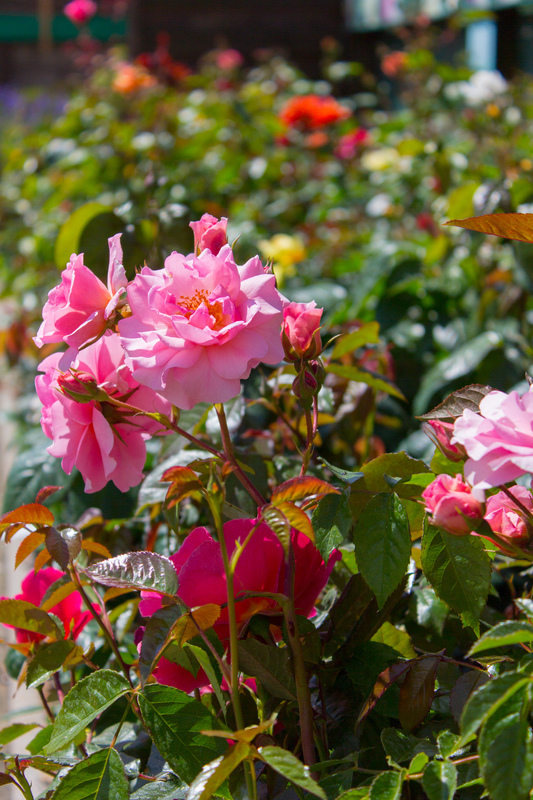 We carry a fantastic range of all the popular types and varieties of roses – Hybrid Tea, Floribunda, Patio, Climbing, Groundcover & Standard throughout most of the year, including some roses which are highly fragrant. 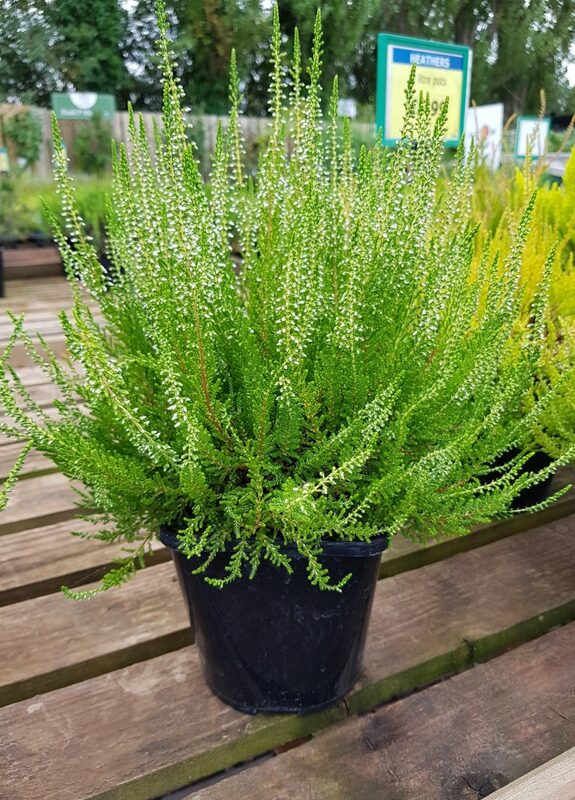 We have a huge range of evergreen and deciduous shrubs available all year round to suit any garden. Our knowledgeable staff are always on hand to give advice. Shrubs can be used to add structure and colour to the garden. Some shrubs are scented, offer Autumn colour or berries, which provide a good source of food and shelter for wildlife. 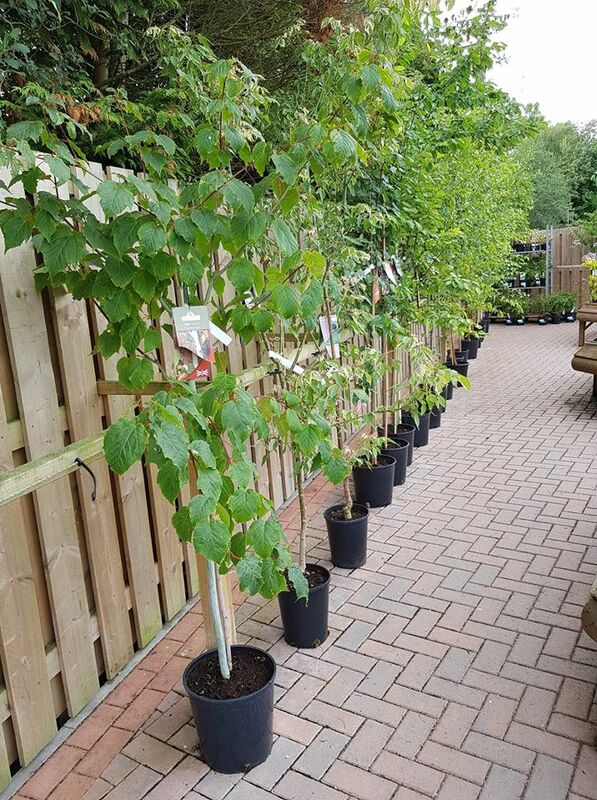 We have a large range of ornamental and fruit trees available between September & April in various rootstocks which determine how big they will grow. We offer an array of sizes, to suit every garden. Ornamental trees offer year-round interest, offering blossom, varying leaf colour, as well as fruits and berries in some cases. We sell apple trees (cooking apples or eating apples), as well as pear trees and plum trees.